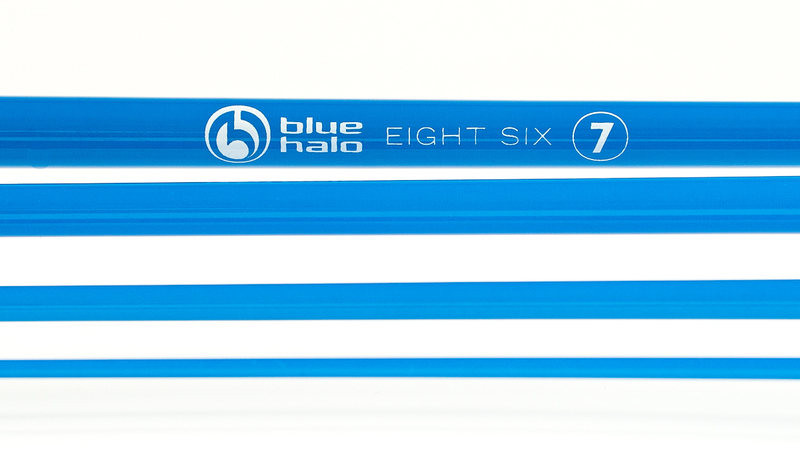 These 4wt blanks feature our third -generation RetroFlex technology, combining maximum feel and durability. Our material renders fiberglass the way glass should be: lithe and supple, never brittle or rigid. The result is a rod that is responsive, dynamic, and expressively tactile. Measuring 8' in Length and weighing in at a mere 2.3 ounces, these 4 piece blanks are ready to be fully-customized and fished heavily for years to come. 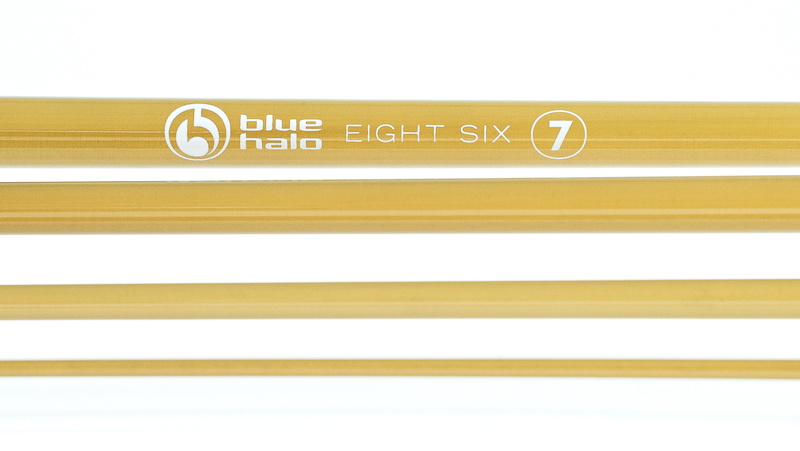 SUGGESTED ROD SPACING: 8' 4pc 6wt Fly Rod Blank. CAPPUCCINO: It might be called "cappuccino," but this rod has little to do with steamy cups o' joe and bad background music. Though its coffee-inspired name, and its appearance--balanced on the edge of traditional rod color and contemporary sensibility--might suggest a refined city kid, this rod clearly belongs out in the country. It's up to you to send it home. Wrap up your own and put that needed shot of caffeine in your veins. CHARCOAL: Something about the color charcoal evokes precision. It's clinical. It's coldly efficient. Maybe robotic, even. 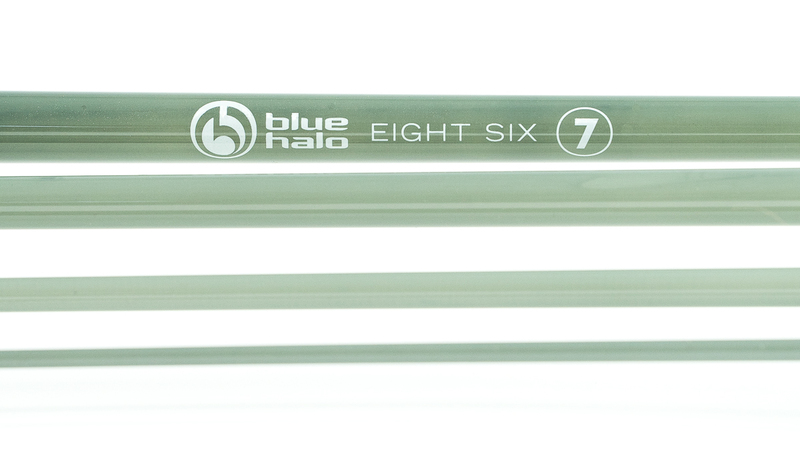 Although this rod is called charcoal, it's glass through-and-through, allowing you to present a fly with surgeon-like accuracy, and be more fully present when the strikes come thanks to the sensitivity of our second-generation RetroFlex technology. CRANBERRY: The color red has numerous associations. Love. Anger. Warmth. Passion: we choose to associate red with that time of year when our favorite fish are spawning, when their attitudes are running hot, and when the strikes are fierce. 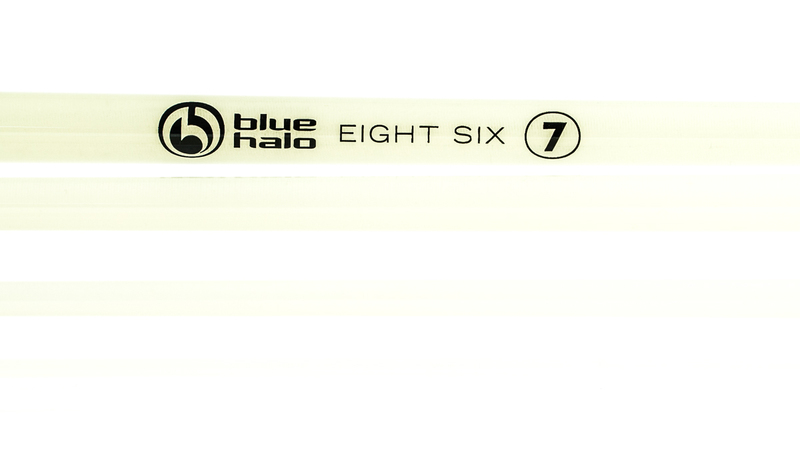 Match the spawn with some sizzle of your own with this Blue Halo RetroFlex II fiberglass blank. 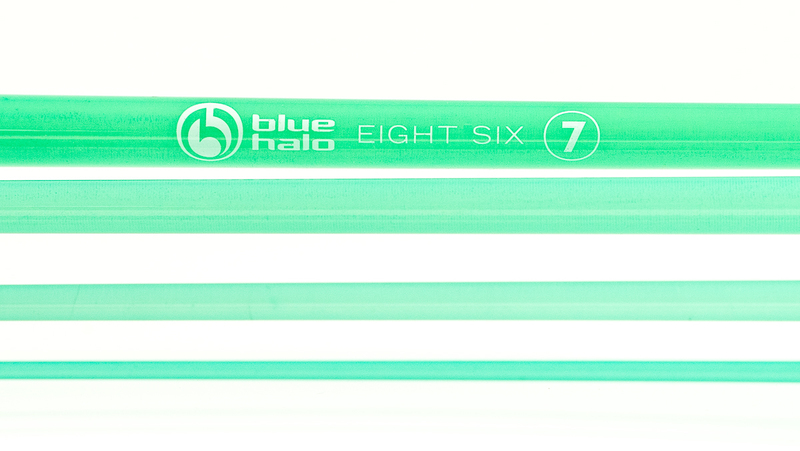 JADE: Blue Halo jade rod blanks have the ornamental appeal of heirlooms: something your great grandad traveled far to acquire. But this is beauty with a purpose, and that purpose is catching fish and bucking tradition while doing so. Try your worst: there is no way you can make this rod look bad, and any color of wraps you choose will kneel before this rod's luster. Luckily, our jade blanks offer more than just a pretty face. You don't need to travel the silk road to put a rare piece of jade in your hands. RAW: Honest. Au naturel. Free-spirited. Just as the good Lord made it. Call it what you will, but don't call these raw blanks unsophisticated. 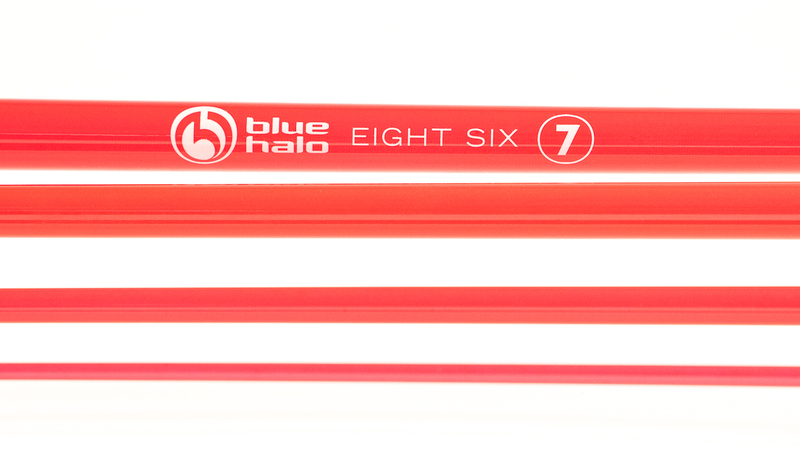 They might be coming at you in the buff, but their soft action can play a trout with the best. The raw color scheme is a blank canvas for you as the builder. Think of this as an opportunity to showcase your wrapping artistry. Raw power. SKY BLUE: The sky blue blank matches the clarity of a perfect day on an alpine lake, when the cloudless sky and the still water converge as if one element. These blanks are loaded with the promise of summer days out of doors, away from the rat race and all irksome obligations. 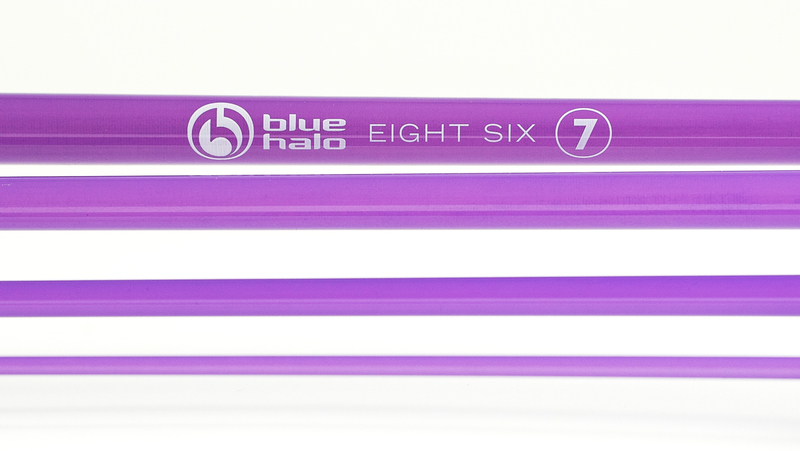 Naturally stunning, infinitely customizable, and ridiculously fishable. The definitive cure for the summertime blues. SUNDROP: It's only the center of our universe. No big deal. Now it's your turn to handle the cosmos by customizing your very own sundrop rod. Sure, it might be crazy to suggest that simply naming a rod after the source of all life on our planet might grant the rod some cosmic power, but then again, you can't prove otherwise. 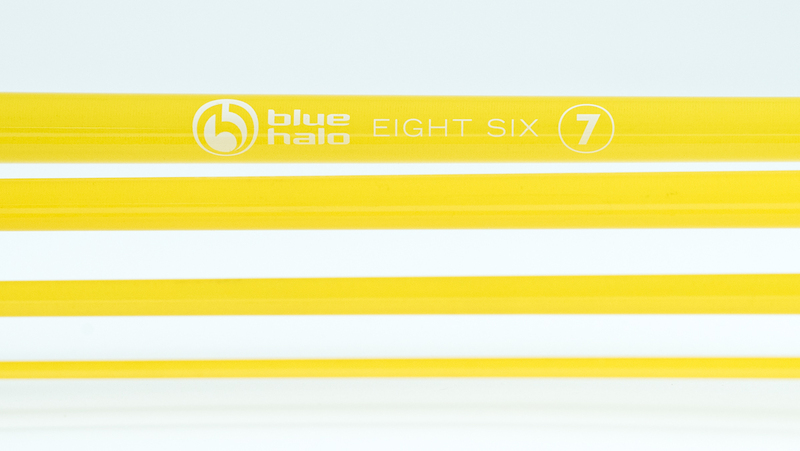 These sundrop blanks are stellar in every sense. Go ahead: wrap one up and call yourself the Sun-God. We approve.